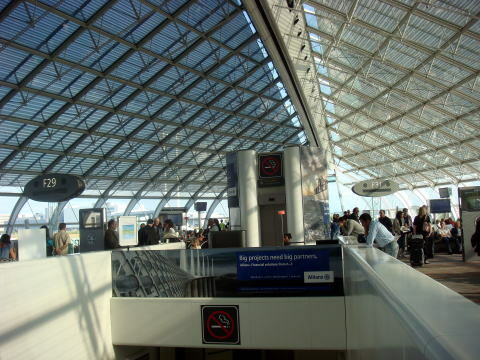 the principal hub for Air France. 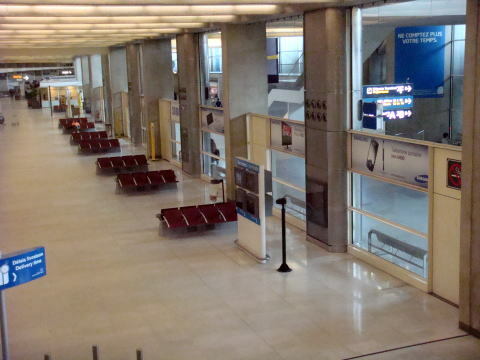 busiest airport in terms of passenger services. 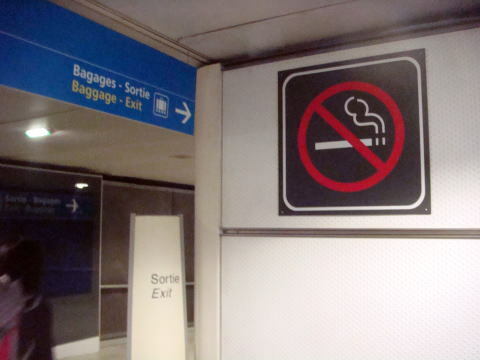 (L) At first, everybody's eyes fall upon a big no smoking sign at arrival to the airport terminal building. 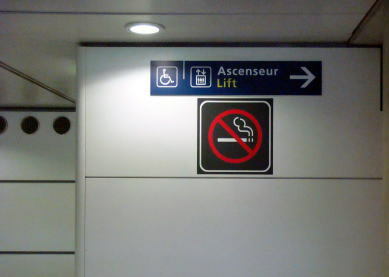 (L) Welcome sign board at the Terminal 2 (R) Every corner of the building, there are no smoking signs. 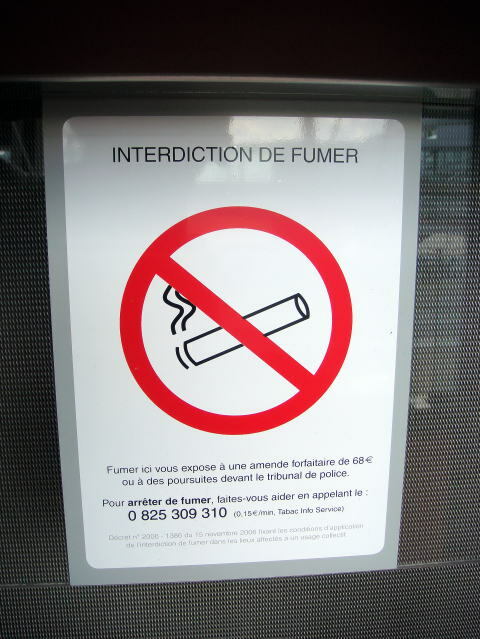 An extra-ordinary-size no smoking sign is posted in all over in the airport terminal buildings. 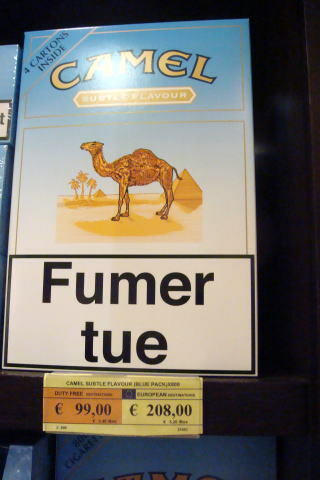 fines of 68 Euros. 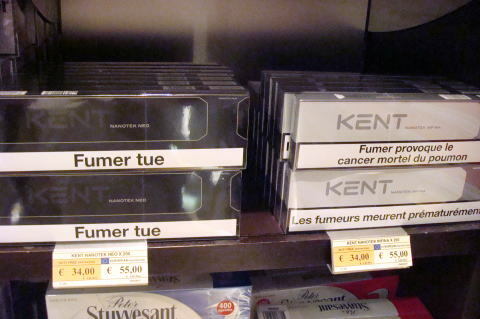 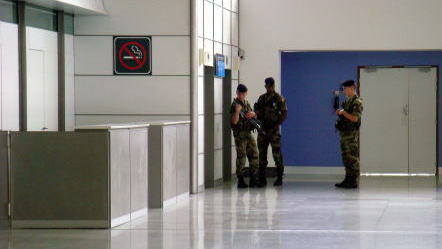 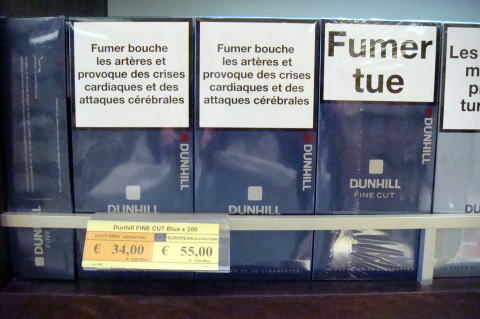 There are many warning signs in the Charles de Gaulle International Airport. 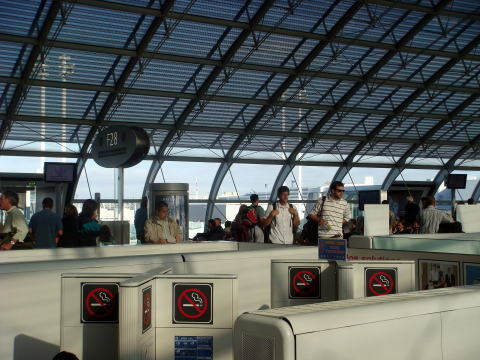 This is perhaps the world's most numerous no-smoking signs posted in the airports. 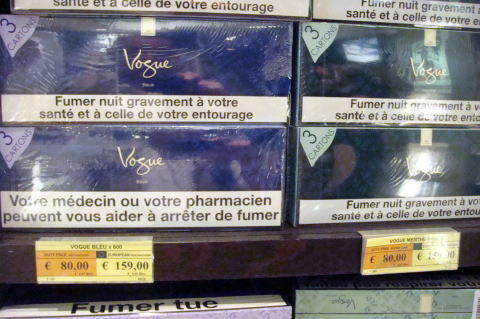 (L) No smoking, no smoking, .... 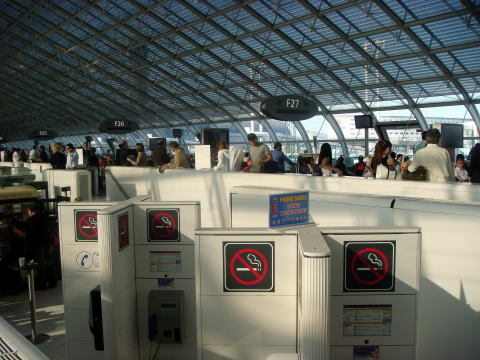 There are so many warning signs in the Departure Terminal 2 building. 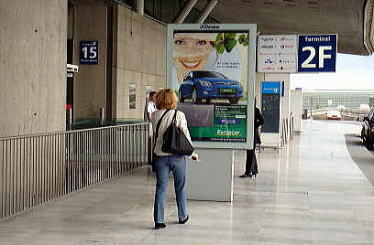 (R) This sign board says you have to pay 68 Eur fine per violation. 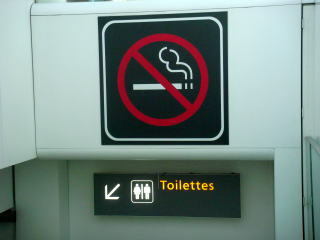 (L) A large no smoking mark at a stairway to a toilet (R) High density of no smoking sign boards is seen in the airport terminal building. 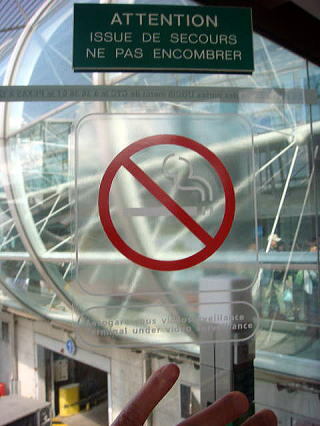 No one can overlook so evident no smoking sign boards. 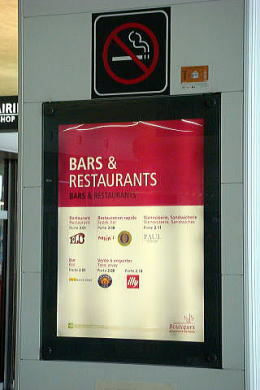 (L) Bars and restaurants are all smoke-free. 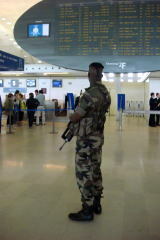 (M)(R) Soldiers are watching any small signs of terrorism. 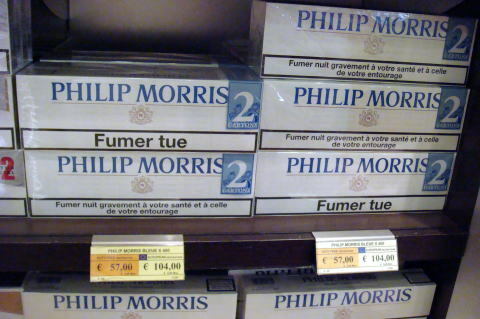 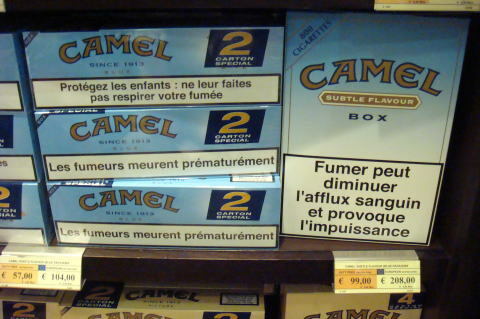 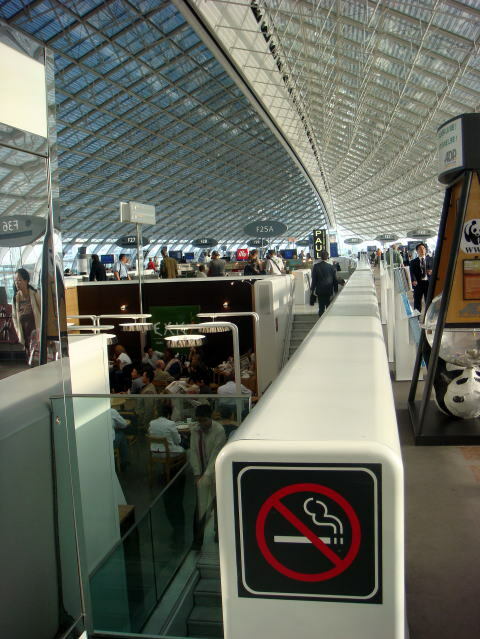 Smoking is allowed outside area only in the Charles de Gaulle Airport. 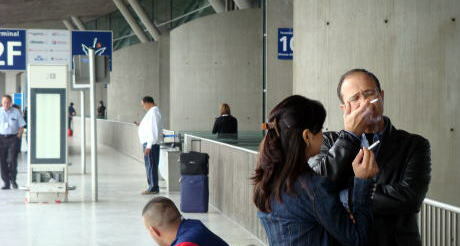 destinations at 53.00 Euros, and for passengers to the Non-European destinations at 31.00 Euros. 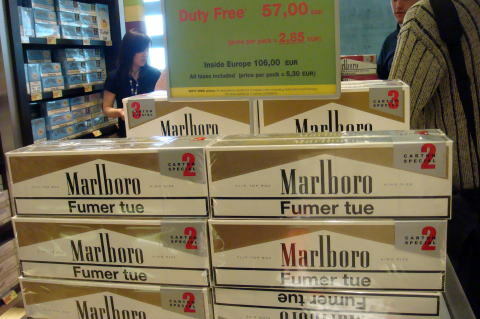 Photographs were taken in June and July, and the article was written by Dr. J. Miyamoto, in August 2008. 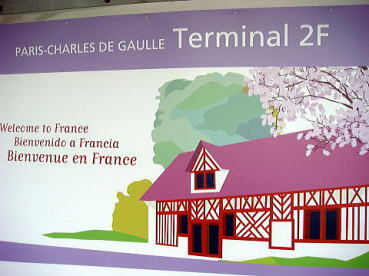 The site is revised in August 2009.